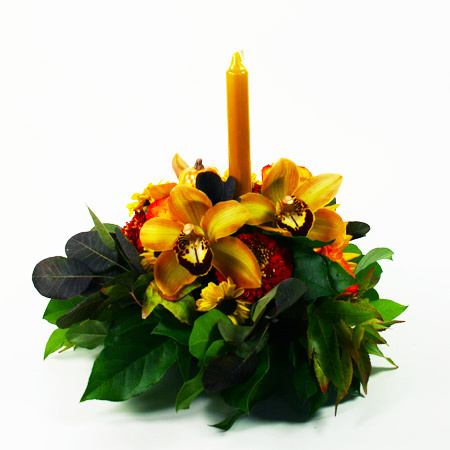 A beautiful blend of fall floral and rich warm color are packed into this centerpiece with a single 12" taper candle in the center. Perfect for your holiday table! Approx. 6" in diameter and 14-15" in height.